Change your Warid old sim with Warid 4G,and get FREE incentives with 400 On-net Minutes, 4GB Internet, and 4000 SMS to All Networks you can get this offer on Jazz and Warid Network get your new Warid 4G sim Jazz & Waird Franchises and get this offer for 1 Week in Rs. 0 (Including taxes). 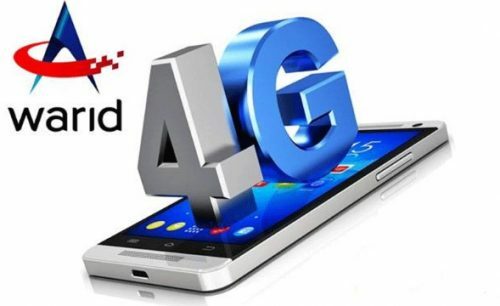 Jazz Warid 4G new SIM Offer is free in Rs. 0 +tax it means you can enjoy this offer free of cost with Warid 4G SIM. This offer is eligible for All Jazz & Warid Prepaid customers. Validity of this offer for 7 Days from the time of activation on Warid 4G SIM. Check your remaining Jazz Warid FREE Minutes, SMS, MBs by simply dialing code *117*89*2# and enjoy with New Warid SIM. Information this offer Just dial this code *117*89*3# and get information about Warid New SIM offers. Dial this code *117*89*4# and Unsubscribe the offer. These Offers are holdup on special occasions at company’s decision i.e. Special Holiday, Eid, etc. This offer is valid for Selected Customers only. You can use your data without any time and day restriction. These Internet offer in 2G/3G/4G networks environments. Customer can subscribe this offer and use. Actual internet speed will depend on multiple factors like device, sim, accessed, web pages time of day, distance from 2G/3G/4G site, number of simultaneous users, etc. If you are not subscribed this offer and use data, Rs. 3.6/ MB charge for 512 KB. If you have an old 2G Warid SIM, visit the nearest Customer care center or franchise and get New Warid 4G SIM and subscribe this offer on Warid 4G SIM and enjoy Free Incentives for 1 week in which you can get Free MB’s SMS and On net call.